Tristan has known that he and his family were going to be on the first mission to colonize Mars since he was 12 years old, and he has been training ever since. But knowing that he would be leaving for Mars with no plan to return didn't stop him from falling in love with Izzy. Now, at age 16, it's time to leave Earth, and he's forced to face what he must leave behind in exchange for an uncertain future. Then the news hits that another ship is already headed to colonize Mars, and the Neo-Luddite terrorist group begins threatening the Mars One project. 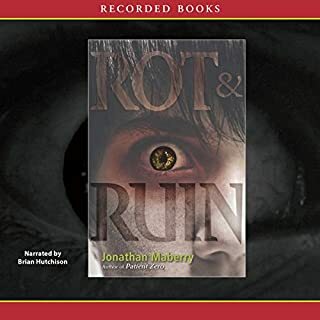 A New York Times best-selling author and multiple Bram Stoker Award winner, Marvel Comics writer Jonathan Maberry continues the story he began in Rot and Ruin. 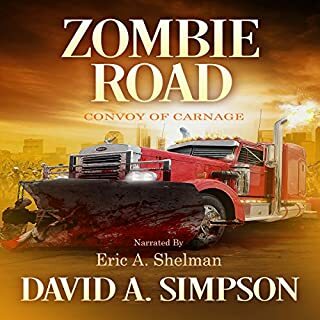 Six months have passed since Benny Imura and Nix Riley learned that flesh-eating zombies aren’t the scariest or most dangerous monsters around. Now, Benny’s brother Tom is training them in the art of zombie whacking. But as they plan to leave and find a better future, a zombie attack puts a crimp in their plans. And soon, they discover an old enemy they believed was long-gone may actually still be alive. Great series, can't wait for the third! This turned out to be a great listen. I have to admit the first few chapters of Rot & Ruin almost made me stop listening. The story is through the eyes of a kid and how he grows up post zombie apocalypse, so it kinda put me off. But it definitely picks up and even the narration got better.. So by the time I got through it I had to pick up Dust and Decay right away. So that's why, for me at least, the story gets 4 stars and not 5 because of the kid gloves on the story, but on Wikipedia its supposed to be for "young adults". I wanted the story to push more, more east (where they are trying to get to) and more growing up, faster. The love story parts takes *forever*, I think the younger readers would like a little faster hitting of the bases there too. Also, when are they gonna get some real weapons instead of the wooden swords! After the first book no way they'd go out there _again_ with wooden swords! Com'on Mr. Maberry! Dr Skilz and J-Dog, good stuff! Chong really made me mad though. Great characters and skilled writing won the day. just as good if not better than the first- a must! What about Brian Hutchison’s performance did you like? excellent performance. drew me even deeper into the story. not extreme...made me think about my teen days. dust and decay picks up 6 months after rot and ruin. benny, nix, and lila are training swordsmanship under tom's tutelage. they have been preparing for their journey east to see where the jet came from. tom has been spreading the word that he is leaving, and word travels quickly, even into the rot and ruin where the other bounty hunters learn of his intentions. the mayor and sheriff of mountainside ask tom to reconsider his decision b/c he is a stabilizing force in mountainside. morgie is still mad at benny b/c he feels benny stole nix from him. so benny asks chong if he wants to come with them. chong declines, but he accepts coming on an over night trip with them into the rot and ruin to meet some of the bounty hunters tom is saying goodbye to. the rot and ruin is more than just a place, it's a force. for the people living in mountainside, the rot and ruin is fear- fear of technology, fear of change, and fear of what lies outside their gates. they are paralyzed by the rot and ruin and are slowly dying. for most bounty hunters, the rot and ruin is subjugation- a wild west where the strongest survive, strive, and thrive. darwin on steroids. the strongest make the rules and rule by force. but for a small group of bounty hunters, the rot and ruin is loss- a constant reminder of what they lost on first night. helping others by providing closure is their only reprieve. unlike the other residents of mountainside, our young protagonists are not scared to openly acknowledge and challenge the invisible hand imprisoning them and holding them back from trying to re-start society. their first step is finding out where that jet came from. ok...where was i? that's right...the overnight camping trip in the rot and ruin. before i go on, i have a question for you. if you're a teen or you're unlucky enough to have a teen...lol...just kidding...what is the one guaranteed thing to set off a bout of teen angst? a "slight." i won't tell you who delivers the slight or the nature of the slight, but it fragments our group. and this wouldn't be a good ya (young adult) story if the "slight" didn't happen in the WORST possible place, the rot and ruin! is this is plot device? yes! but i know what you're thinking. and no...it is not gimmicky! remember, this is jonathan maberry. by the time the "slight" happens, maberry's story already had me in a deep state of suspension of disbelief. what happens is believable. so...the planned overnight camping trip spirals out of control. our young protagonists must fight for their survival while fighting themselves and each other. new characters are introduced, and there are interesting and scary connections to past characters. zombie cards come to life as some of those depicted make an appearance as minor characters in the story. some are more than just cardboard cutouts and add to the story. w/o spoiling too much, i liked j-dog and dr. skillz who were surfers before first night. it's funny b/c as a listener, i could understand their lingo whereas those born after first night couldn't relate to what they're talking about. tom is the fulcrum. his decision to leave has emboldened his enemies. the villains in dust and decay are even more despicable than charlie pinkeye and the motor city hammer. white bear is mercilessly consolidating charlie's territory and preparing for "bigger things." Overall, an excellent sequel! Once again, the beginning is kind of slow. There is a lot more action in this novel; however, there’s still plenty of good story telling so much so that you become even more bonded to these characters. The end of the story is epic in every way. Please mr. maberry finish book 3! You can’t leave us hanging! Hutchison's narration (once again) is excellent! DUST & DECAY (Benny Imura #2) is even better than the captivating ROT & RUIN! 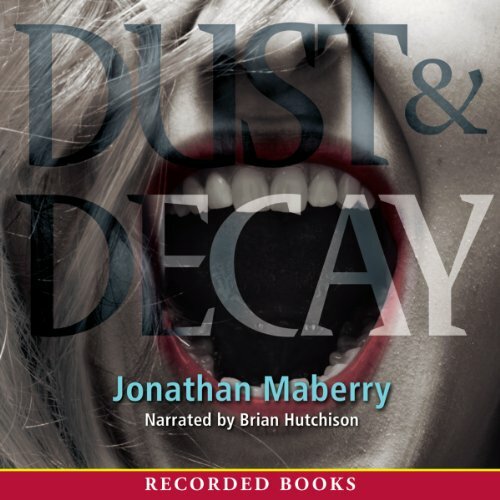 It’s rare to come across a sequel that is as good as it predecessor and even more rare for one to surpass the original, but Jonathan Maberry does just that with DUST & DECAY. 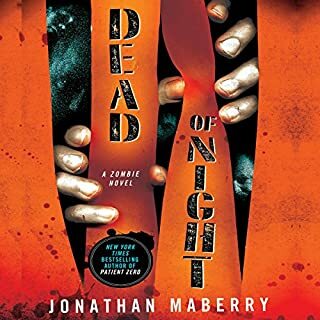 In this thrilling second installment, Mayberry gives us even more emotion, more danger, more action, more zoms and more death. Yes some major beloved characters do die… it’s all very shocking really and a read not to be missed! I cannot wait till the release of book #3 FLESH & BONE; which promises to be another gripping journey in the highly addictive Benny Imura zombie series. A great sequel... when is the third coming out?? Dust and Decay is a great sequel to Rot and Ruin. In my opinion it has a better story although overall it is intricately told and the entire book covers only two days. It was very good to see how the characters progressed and that there was hope for them escaping the world of the living dead. I wish it had told more of their story but I guess I'll have to wait for the next installment... which will hopefully be soon! :) Highly recommend this series for some light, entertaining listening. I will say though that the protagonist's name, "Benny" annoyed me a bit but that's of course just a personal preference. The author could have picked a better name for the main character IMO. ha! This book was just as hard to put down as Rot and Ruin! 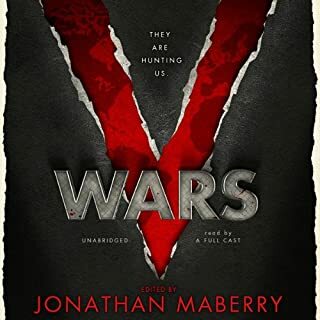 Once again Jonathan Maberry crafted a story that simply compelled you to continue reading. Dust and Decay introduced a few new characters while constantly evolving the original characters in realistic ways. The insight into human character is wonderful. This series is less about the dead and more about the way we approach living. I wept at the end, it was so unexpected and unwelcome! I can, however, clearly see how this book -and that ending - will flow beautifully into another book. This is a series not to be missed! What other book might you compare Dust and Decay to and why? As a post apocalyptic/zombie novel it falls into the same category as The Forest of Hands and Teeth series. What does Brian Hutchison bring to the story that you wouldn’t experience if you just read the book? This story is performed wonderfully! He has a voice that seems very sympathetic to the characters. Well I'd have to steal a line from the book: Remember, in the Rot & Ruin everything wants to kill you. Fantastic book to read or listen to - or both! What did you love best about Dust and Decay? The story itself is good. The narrator was somewhat annoying and ended each sentence on a downward lilt. This made each sentence the same and didn't play up any of the excitement. What didn’t you like about Brian Hutchison’s performance? He did not bring the story to life and treated each sentence the same, both for everyday conversation to fight scenes. I enjoyed this book much more than the first, primarily because Benny and his crew are a little more mature and not nearly as whiny as before as he’s been strengthened by what he’s gone through before. Well written with a great amount of action with a few twists and turns mixed in. “Dust and Decay” does a great job of immersing you in this world while bringing the characters to life so that you feel a real connection. A must read for any zombie lover. Mr. Hutchinson does a great job with the narration and differentiation between all of the characters! IT'S A MATTER OF WHAT IT IS. I gave the first book four stars and I was not going to continue the series, sticking to my conviction that I will only listen to what I believe will earn five stars. One of the people I am following just loved this book and another said it was as good if not better then the first. Trusting my leaders, I got this when it was on sale. I will say that there is less speech-a-fying in this then the first. On the other hand this story does not differ much from the first and is pretty much a stretcher to get you to buy book 3. If you loved book one and want more of the same then you should love this. They make book 3 sound like a good adventure, but I am jaded now and will read no more Maberry young adult books. I love his adult books and plan on getting everything in the Joe Ledger series. 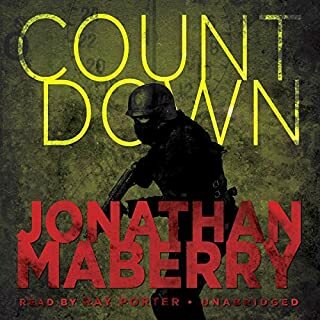 Some have sung the praises of the narrator, so maybe it is just me, but I had to put this guy on 2x speed to get through it. I felt he read extremely slow and to be honest at 2x, he still was kind of slow. 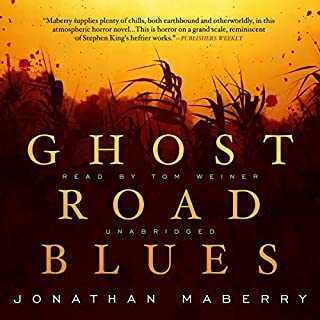 What was most disappointing about Jonathan Maberry’s story? I was not happy with the slowness of the story development. Although the story line had potential, the author kept having the lead characters make dumb mistakes during times of crisis!